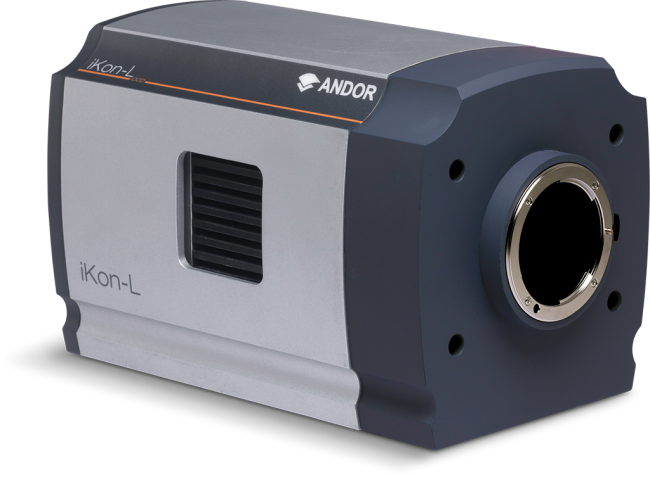 Andor Zyla 4.2 PLUS sCMOS Camera | EINST Technology Pte Ltd.
Zyla 4.2 PLUS is the latest sCMOS technology advancement from Andor. At its heart, Zyla 4.2 PLUS benefits from latest generation sCMOS sensor technology, delivering a further 10 % boost in QE, resulting in an unprecedented 82% QEmax. The broad QE profile provides excellent coverage of the visible/NIR wavelength range, highly optimized to a wide range of common fluorophores. Further innovation has also introduced industry-fastest USB 3.0 frame rates and industry-leading response linearityof 99.8% (> 99.9% for low light range), for unparalleled quantitative accuracy of measurement across the full dynamic range. Zyla 4.2 PLUS is ideal for applications such as Super-Resolution Microscopy, Ion Signalling Microscopy, LightSheet Microscopy, Line Scanning Confocal Microscopy and TIRF Microscopy. 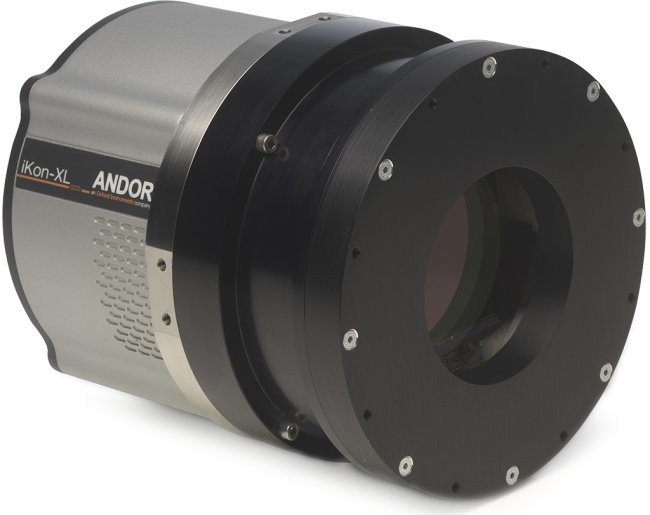 The newest addition to the Andor sCMOS camera portfolio, Zyla 4.2 PLUS benefits from latest generation sCMOS sensor technology, delivering a further 10 % boost in QE, resulting in an unprecedented 82% QEmax. 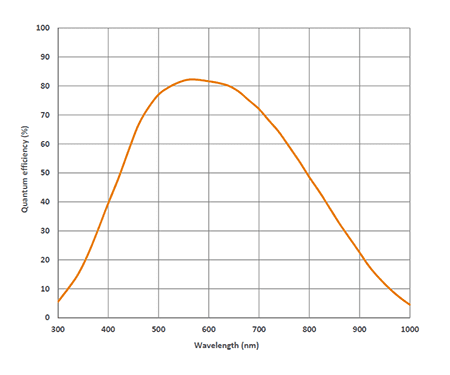 The broad QE profile provides excellent coverage of the visible/NIR wavelength range, highly optimized to a wide range of common fluorophores, the sensitivity boost permitting use of shorter exposure times, faster frame rates and reduced phototoxicity. 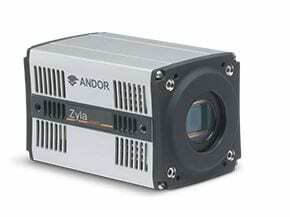 Superior data transfer efficiency and Zyla’s unique 12-bit high speed mode combine to deliver an incredible 53 fps through the super-convenient USB 3.0 interface, 77% faster than competing sCMOS cameras. With this capability, speed is on tap to allow users to follow faster dynamic processes with improved temporal resolution. Opt for the Camera Link version to access up to a blistering 100 fps (full resolution). Zyla 4.2 PLUS also offers industry-leading linearity 99.8% (> 99.9% for low light range) for unparalleled quantitative accuracy of measurement across the full dynamic range. 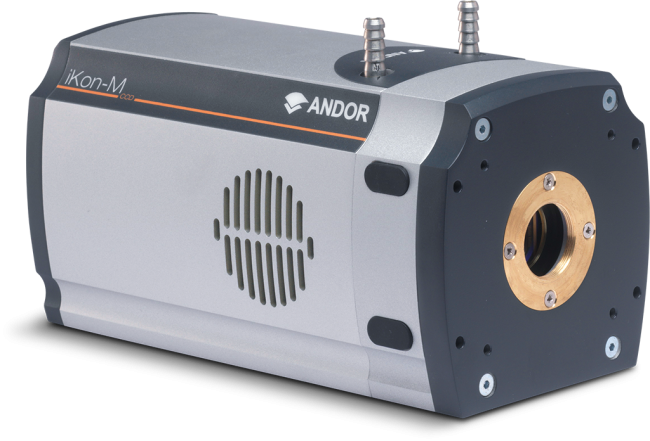 The Zyla 4.2 is ideal for applications that benefit from optimal sensitivity and speed, such as calcium imaging, light sheet microscopy and super-resolution microscopy, as well as numerous high speed applications within astronomy. 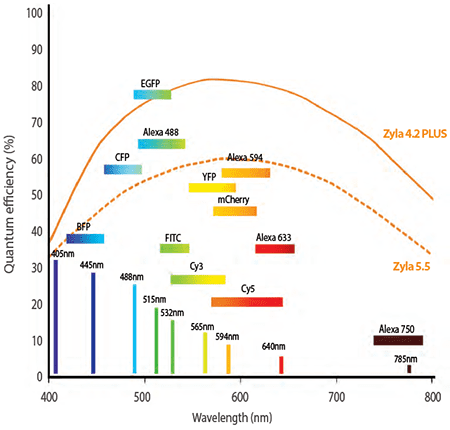 Zyla 4.2 PLUS can also output data at a sustained 26,041 fps from a 2048(h) x 8(v) ROI, ideal for measuring diffusion coefficients in Fluorescence Correlation Spectroscopy (FCS). The ‘4T’ (4-transistor) design of the sensor pixel permits more photons to enter, driving Quantum Efficiency up to 82%. The 4T design also means that it is fundamentally a Rolling Shutter sensor. However, a feature called ‘Global Clear’ has been implemented, which allows for a simulated Global Exposure mode, which requires TTL communication between the camera and a pulsed light source, emulating the Global shutter exposure condition. NEW > 80% QE Highest and broadest available sCMOS QE. Optimized to a wide range of common fluorophores. Enables shorter exposures, faster frame rates and reduced photobleaching. 0.9 e– read noise Lowest read noise sCMOS. Significantly lower than any CCD. NEW Industry Fastest Frame Rates Follow faster processes. Industry-fastest USB 3.0 frame rates, 53 fps (full frame). 100 fps (full frame) sustained via Camera Link. 4.2 megapixel sensor format and 6.5 μm pixels Delivers extremely sharp resolution over a 18.8 mm diagonal field of view; ideal for cell microscopy and astronomy. LightScan PLUS Maximize fluorescence signal and confocality concurrently in applications such as Scanned Light Sheet Microscopy and Line Scanning Confocal Microscopy. Ultra Low Fan Vibration Designed with vibration sensitive experiments in mind, such as super-resolution microscopy. 12-bit and 16-bit modes 12-bit for absolute fastest frame rates through USB 3.0; 16-bit for full dynamic range. Compact and Light Ideal for integration into space restrictive set-ups. Ideal for OEM. Water Cooled Option Zyla 5.5 and Zyla 4.2 available as water cooled variant, for absolute lowest vibration and -10°C cooling / reduced darkcurrent. TE cooling to 0° C in 27 °C ambient Ideal for OEM integration into enclosed systems.